Social games aren’t new–they’re just games you play with other people. Social games began about 5000 years ago. 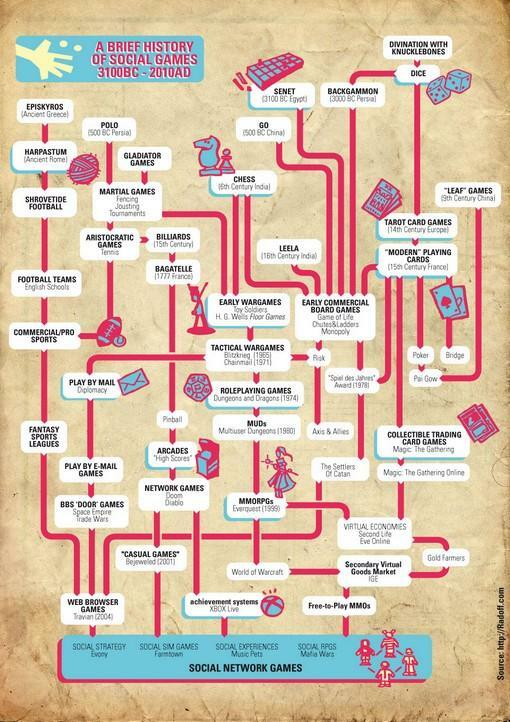 With some help from the team at Disruptor Beam, we’ve put together a little chart that traces the history of social games from its origins in Ancient Egypt all the way to the present. I’m using the term social network gamesto distinguish the type of social games (Farmtown, etc.) 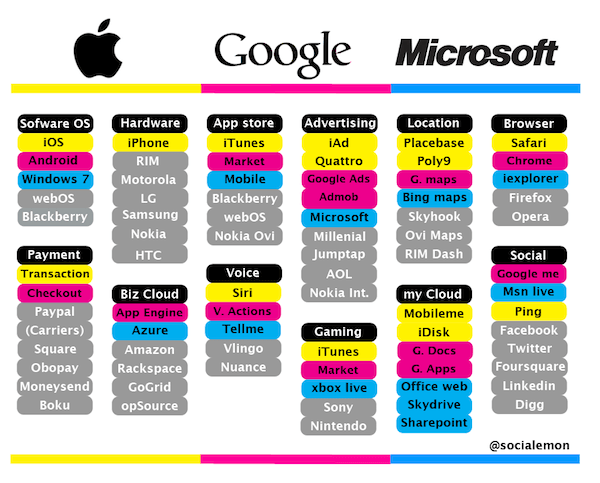 that are primarily played and distributed via social networks. Otherwise, I guess you’d be working at the prestigious Online MBA and probably had come up with this nifty infographic about online gaming. 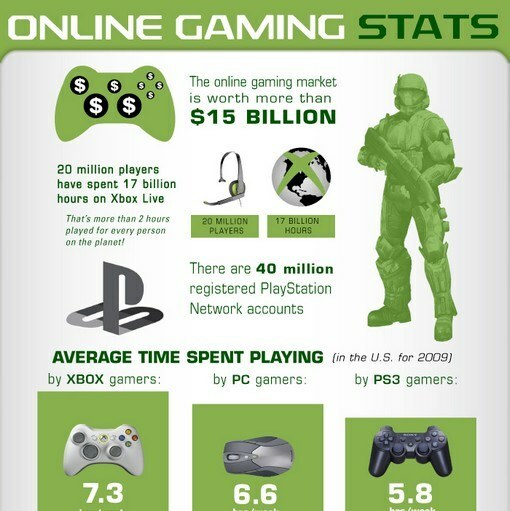 There’s nothing terribly surprising about the numbers, although it is worth noting that PS3 gaming hours trail behind both Xbox 360 and PC at 5.8, 7.3, and 6.6 hours per week respectively.